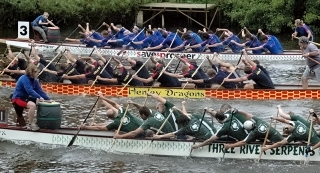 Dragon Boat Racing is Britain’s fastest growing water sport. Three River Serpents, based at Durham ARC is the most northerly premier crew in the British Dragonboat Racing Association League and is looking to recruit new members, both male and female. See the club poster and taster session leaflet for further details. This entry was posted in Club News on December 12, 2017 by Colin Lawson.